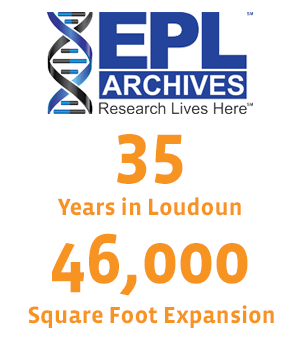 EPL Archives is a true Loudoun County corporate pioneer. Founded in Loudoun in 1978 by leaders in the scientific research industry, the company focuses on the preservation and maintenance of research materials, data and product manufacturing assets. In 2012, EPL Archives submitted site plans for a 46,000 square-foot expansion of their Loudoun facilities under the county’s Fast-Track Commercial Incentive Program. How well did Loudoun’s Fast-Track Program work for EPL and their team?